Chinese Medicine and Ayurveda are built upon several thousand years of cultural belief systems and philosophies. Although these theories of life may differ in tone and focus, there are universal themes that run through both traditions’ roots. Both have a cosmology, a constitutional theory, a theory of elements, a science of taste and diet, and observational diagnostic tools like tongue and pulse diagnosis. What differs is the lens through which their originators perceived the world. That lens has colored the foundational cosmology of each system. In this chapter we will look at these underlying beliefs and cosmologies. Both systems have emerged from a primary cosmology that applies to all life--and beyond life to everything that exists. Each system’s cosmology applies to the birth and function of our universe, our minds, and our cells. The origin theory that underpins Chinese medicine is Taoist. Ayurveda is based largely on Sankya philosophy. Taoism is the philosophy underlying the study and practice of energy cultivation systems such as tai chi, qi gong, and Chinese martial arts. Sankhya philosophy is one of the main underlying systems of thought in India. It is the foundation for much of the yoga philosophy and practice so popular throughout India and the West today. Sankhya cosmology explains the journey of consciousness into matter--the qualities of matter, the senses, and the mind. According to Sankhya, two primordial entities manifested from their unmanifested state--Purusha, consciousness, and Prakriti, primordial matter. The interaction of these two creates a fine material called Mahat, or universal intelligence, and from Mahat emerges the stuff of individual self-awareness and differentiation, ahamkara or ego. This egoic energy allows for further substance to arise: the three gunas. These are the qualities of sattva (clarity), rajas (turbulence), and tamas (inertia). The three gunas correspond to our state of mind. If we are in a sattvic state, we are peaceful, calm, and clear. If in a rajasic state, we are unsettled, agitated, discontent. In a tamasic state there is lethargy, fogginess, veiled awareness. You may be familiar with the Taoist taiji symbol. It’s that half-white, half-black circle with a dot of white in the black half and a dot of black in the white half. The circle symbolizes the whole of existence. The line dividing yin and yang is not static; it is wavering. This symbolizes movement. The two are constantly interacting with one another, sometimes yin dominates, sometimes yang. The friction that is created by their interaction is the qi. Qi is one thing and everything. It is lifeanimating energy or vibration. Qi is what everything is made of, how everything functions, and it takes many forms. In Sankhya philosophy, the qi is called prana. Prana emerges from one of the three primary gunas. From sattva or equanimity came the quality of mind, from tamas or inertia came the body, and from the guna of rajas, or activity, prana. All things are made of prana, even inanimate objects, but when prana circulates in its vital form a being is alive. This vital prana is said to travel along specific pathways in the body called nadis. In Chinese medicine, these pathways are called channels or meridians. In both meridians and nadis there are intersection points along the pathways that allow for multitissue communication within the body and communication between deeper parts of the body and the prana outside the body. Qi or prana is not just form, it is not just function, it is not just vitality, it is not just the communicator between cells and individual minds and bodies. It is all of the above. Everything in existence is connected to everything else. Look at distance healing. How fascinating that a human can focus his or her intention upon someone inches or miles away and effect a healing response. Prana knows where to go. A good illustration of this is the story of one of my first Reiki experiences. While working out of a storeroom in a friend’s metaphysics shop, I encountered a woman who was interested in experiencing a Reiki healing. She was in her thirties and told me she had joint pain from systemic lupus. She sat down, and immediately my hands felt drawn to her neck. Now, knowing that she had systemic pain, I thought she would feel that I didn’t know what I was doing if I didn’t do the hand positions on various places around her body. So I worked on some other areas but still felt drawn to her neck. I finally surrendered to it and brought my hands there. I had them about six inches away from her body, one facing the front of her neck and one facing the nape. I started feeling a cold breeze coming into the palms of my hands. . . the cold air intensified and it was all I could focus on. I didn’t know what it was or what to do, so I just did what felt right and stayed in position. Within a minute or so, there was a loud CRACK! It was like the sound of a good home run. We both jumped and she said, “I think you just cured my whiplash!” What? She said lupus, not whiplash! It turned out she had been in an accident six months prior and seeing a chiropractor several times a month. There are a few points here. One is that I didn’t cure anything. She was in the right place at the right time and her body was given the opportunity to heal itself. Second, in Chinese medicine we talk about how cold can lodge in the body and cause pathological changes. I believe this was the case for her and that I actually felt the cold leave her body. Finally, you don’t even need to touch someone in order to effect a healing response. The qi knows where to go and what to do, we just need to listen. 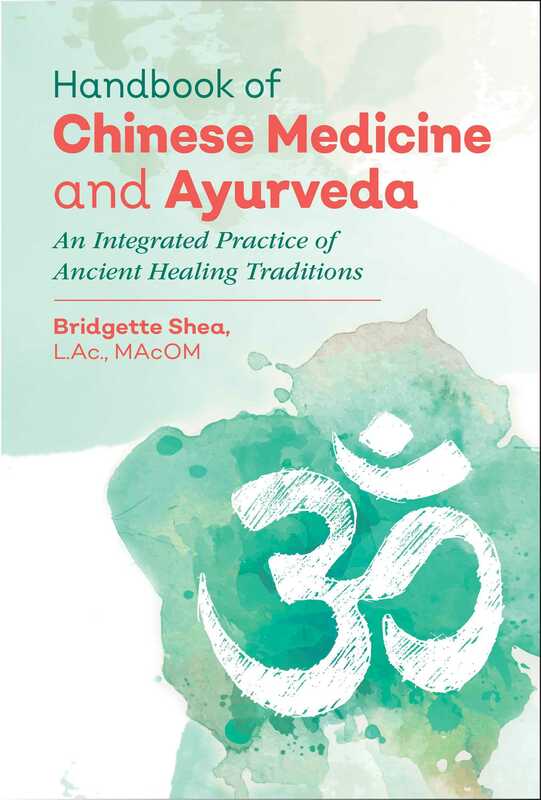 Bridgette Shea, L.Ac., MAcOM, is an acupuncturist, Chinese medicine practitioner, and Ayurveda educator whose private practice is an integration of Chinese and Ayurvedic medicine. She writes and teaches workshops on Ayurveda, energy medicine, and healthy breathing. She lives with her family in Saratoga Springs, New York.